We are looking for mentors to invest into our young men, women to befriend our Forerunner mothers, and tutors to help encourage our students academically! Pick one meeting and come learn more about what it looks like to serve with Forerunner Mentoring. Please tell your friends and neighbors to come as well! One of our favorite ways to build relationships is through our monthly family dinners. It is just a wonderful time for all of our families to come together and be with each other. We believe spending time together is the best way to build relationships... and you know we think relationships change lives. Special thanks to Normandy Church for hosing our March Family Dinner. One of the goals in our Forerunner Junior High Development Program is to introduce our boys to different professions in life to give them an idea of what they can be when they become adults. 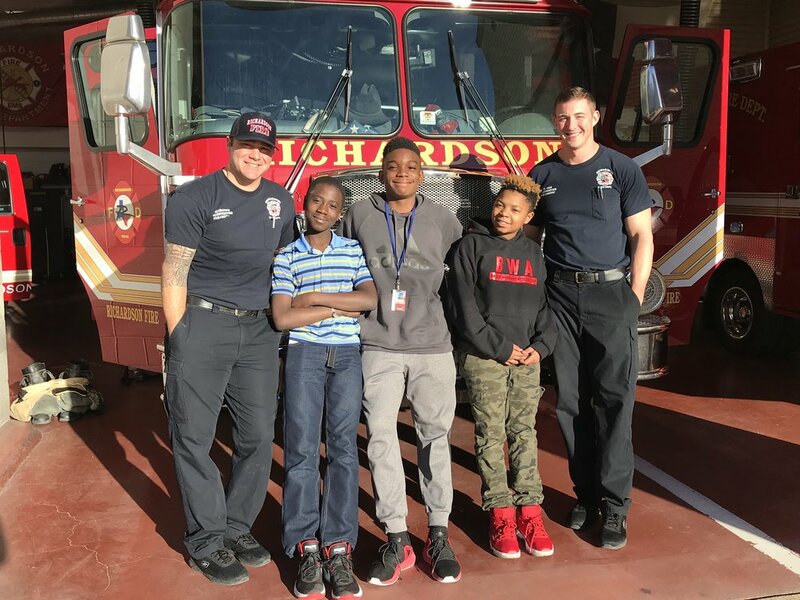 One of our Forerunner Friends is a Richardson Fire Fighter and gave our junior high Forerunners full access to the fire station and fire engine. Our young men learned so much about the ins and outs of Firefighting. Special thanks to the Richardson Fire Department for all the kindness and positivity they showed our young men. 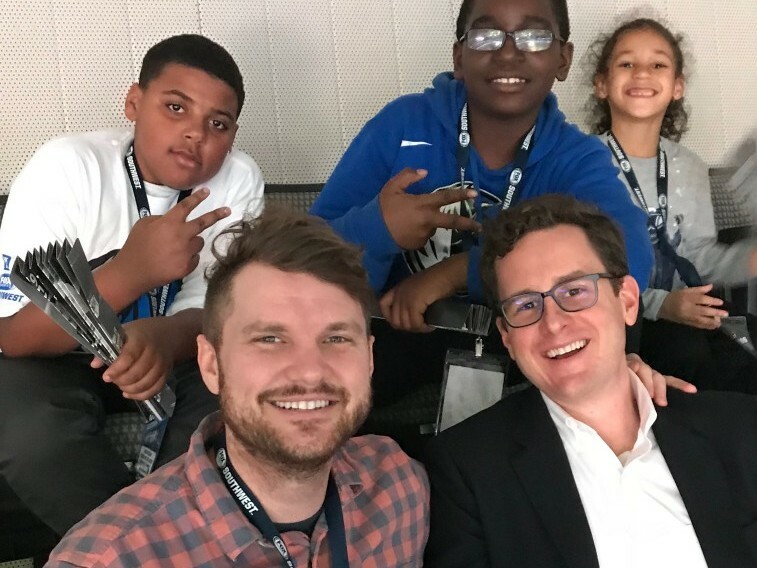 Look, we all know watching the Dallas Mavericks might not be the most fun this year due to their terrible record, but don’t tell our kids that! 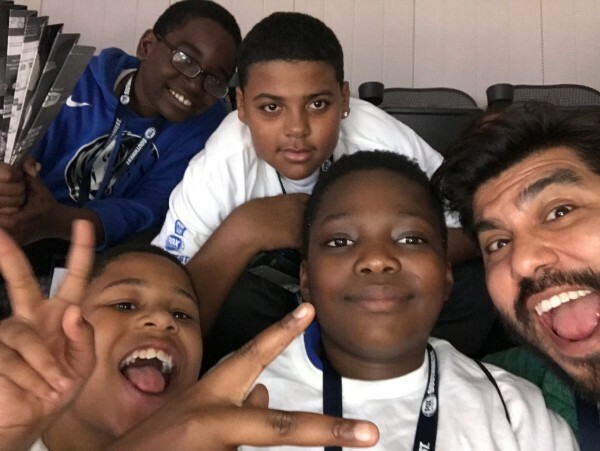 We had so much fun building relationships with our Forerunners at the Mavs game! The boys had a blast stuffing their face full of pizza, causing ruckus on a big ole’ bus, and cheering on the home team. I know it seems like “just a game” for most people, but this was an opportunity for our kids to experience something new in life. Most of our kids have never been to a game before! Thank you so much to all who made this night possible.